leau suarez and the charleston jazz orchestra has the final show of the season in a couple weeks. get your tickets now. very proud to create these visuals for the CJO. right on. This Lady Day poster moved me. 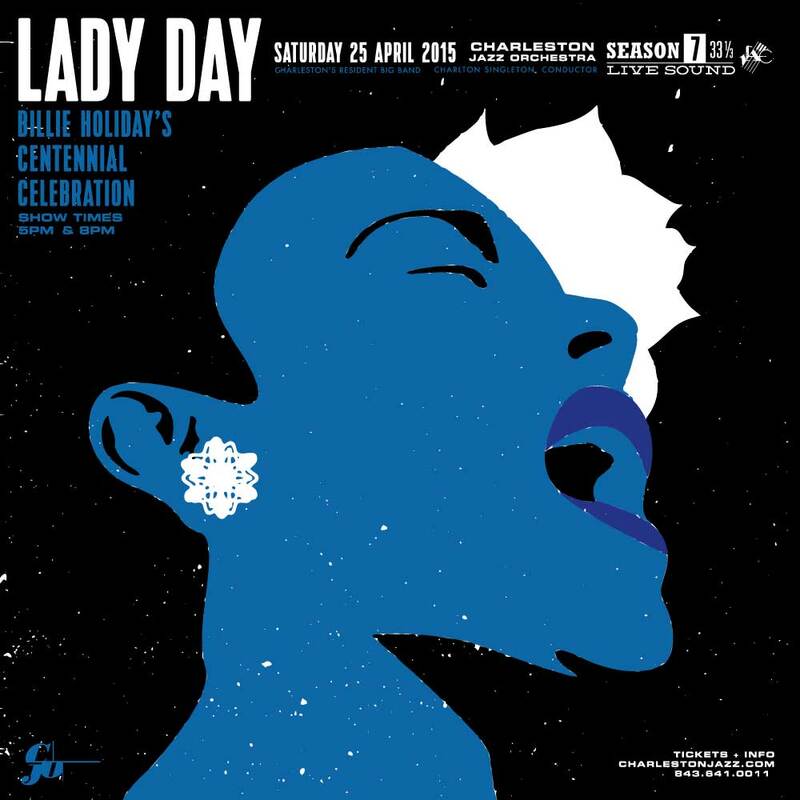 As a screen printer, this type of design just gets me so excited, and billie holiday is a person close to my heart, because my uncle was fond of her, and left me a collection of her music. I want to print this image. I can’t do it before the concert because I am leaving town all of next week, but when I get back, would you mind if I took a crack at a 3 color screen print of this design? thanks man! i would love for you to screen print that poster. just let me know and i can send you seperated art or whatever you prefer. thanks again for coming to my site and liking the poster. right on!